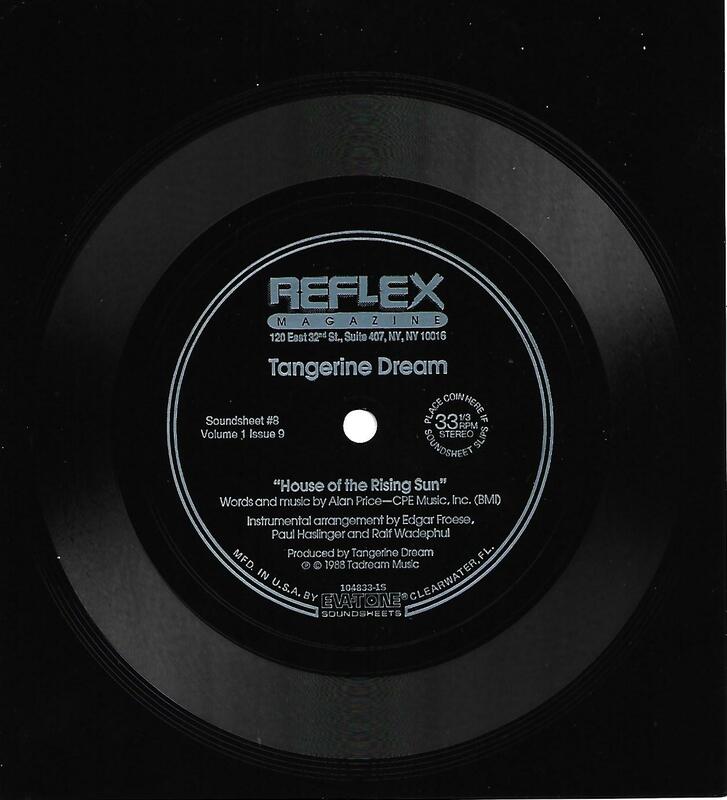 6" - TANGERINE DREAM - HOUSE OF THE RISING SUN Scarce 6" flexidisc! Scarce 6" square flexidisc that was released by Reflex Magazine! No sleeve. One track.